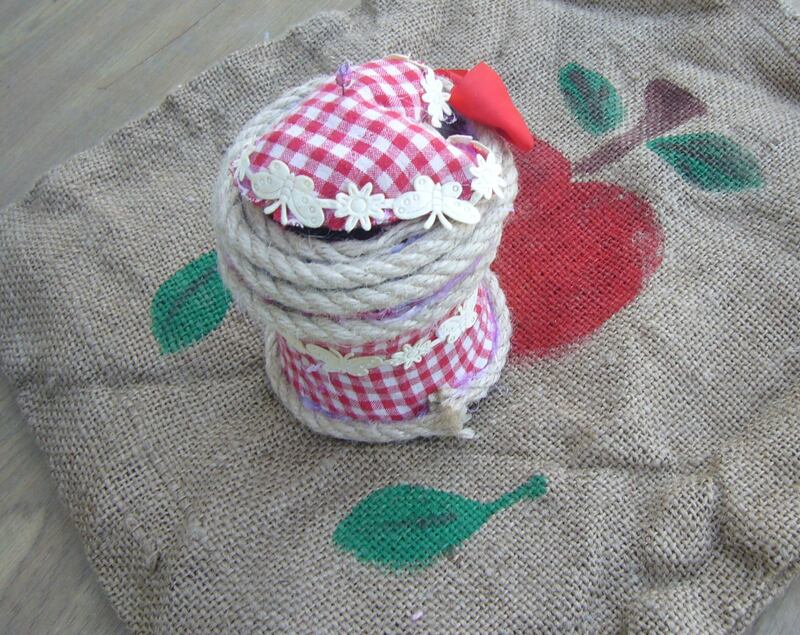 This is a very quick and easy DIY pin cushion project. It took me about 10 min to finish it. This was a small tint coffee can with a plastic lid. I have decoupaged it with recycled fabric. This fabric used to be a baby dress. I also sew a heart for the pins. I used dish sponge for the filling. 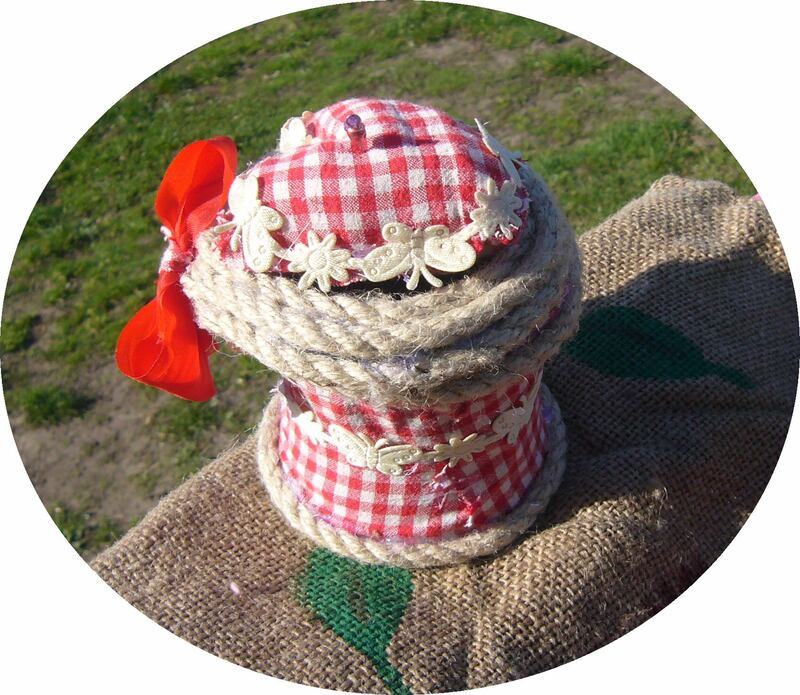 I have used the scrapes of butterfly ribbon to decorate the can and I used the organic rope for the edges. You can see that the lid opens up and I store the threads or ribbons inside and the pins and needles on the top. It’s a cute DIY project you can make using hot glue gun and fabric scrapes. Check out my Pinterest boards for more inspiration. 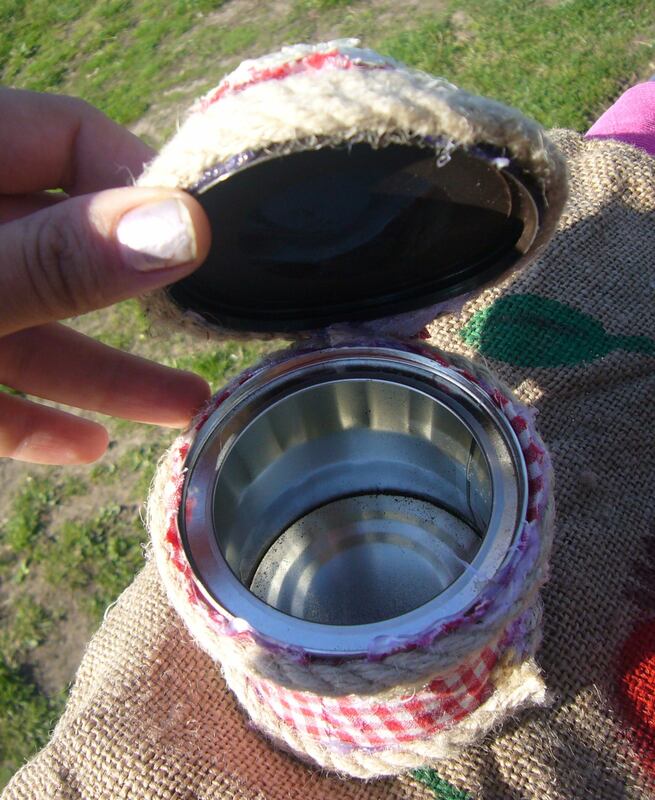 This entry was posted in Crafting Tutorials, Go green and tagged can recycle, coffee can DIY pin cushion, coffee can project, crafts with cans, DIY, fabric scrapes crafts, go green, recycling, recycling crafts, sewin, sewing, tint can recycle, upcycling. Bookmark the permalink.